How sharp is the edge? That is both the most important question a sharpener can ask, and possibly the hardest to answer. There are tests like cutting paper or shaving hair that are often used to demonstrate sharpness, and they are helpful to a point, but they lack the precision and standardization required to truly answer the question. However, a precise and standardized testing method is available. 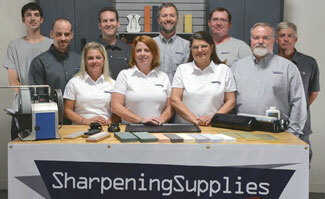 It is achieved using the PT50 Series Sharpness Testers from Edge-On-Up. The PT50 Series of Edge-On-Up Sharpness Testers give the ability to measure and quantify the level of sharpness of any given edge. They work by measuring the force in grams required to cut through a standardized, calibrated medium. The result is a number that can be used to compare the relative sharpness of edges. There are three models of PT50 Sharpness Testers. The Edge-On-Up Industrial Edge Tester (PT50A) is the most precise. It is a crossover product with the industrial world, and of the three models of PT50 testers, it is the only one that is warranted for commercial/industrial use (3 years). 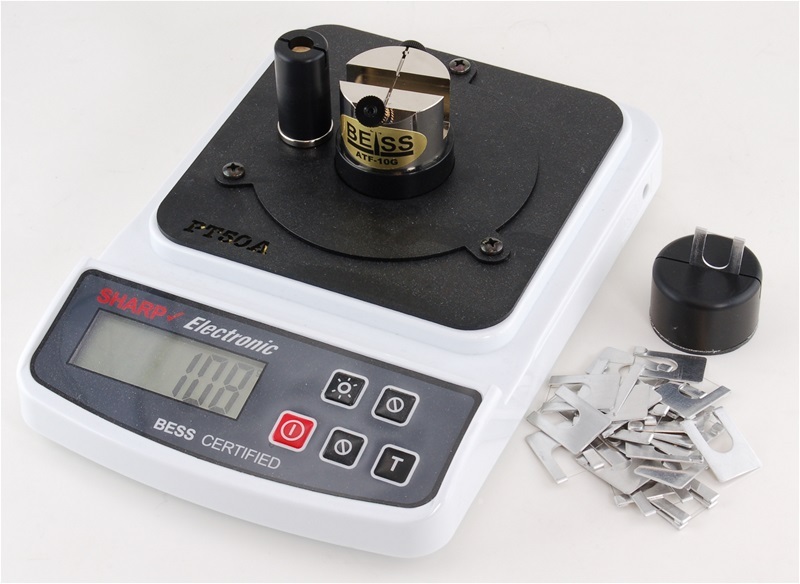 The Industrial Edge Tester includes both the New Aluminum Test Fixture and the Disposable Clip System (Test clips have not yet received full BESS certification) giving manufacturers, and those sharpeners who will have only the best, maximum latitude in measuring both standard and non-standard cutting tools and edges. Q. Which test methods come with the PT50A Industrial Edge Tester? A. This one comes with everything you need to use BOTH the Aluminum Test Fixture with the Test Media and the Disposable Test Clips with the Clip System. It essentially comes with everything possible.